Prince Stavin Zel'Andral. Of all the things Stavin had dreamed he might become, this was by far the wildest. He was now second in line to the crown of Evandia. It seemed that he had achieved everything he wanted. But it only seemed that way to others. Now Chosen, he is Prince Stavin, Warmaster Zel'Andral. While the fate of Farindia remains an open question, Kel'Kavin is now Evandian territory. 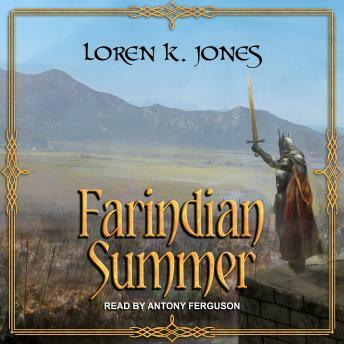 Stavin takes his family to Twin Bridges to introduce them to King Kalin, and finds new challenges. Not everyone is happy with his new status. Stavin leads the Farindian Pacification Force into the new Evandian territories. Wielding the Sword of Zel'Hallan, he finds himself respected-and feared. Sharindis is drawn into the King's Council. Though unable to see the Ministers clearly, she can hear them quite well. Her knowledge of Farindia lets her take an active, and often aggressive, role in the Council. Stavin returns to Twin Bridges triumphant, and changed in ways he won't understand for years to come.